HW Energy are a progressive and dynamic company who design and install bio-mass heating systems for their clients all over the UK. 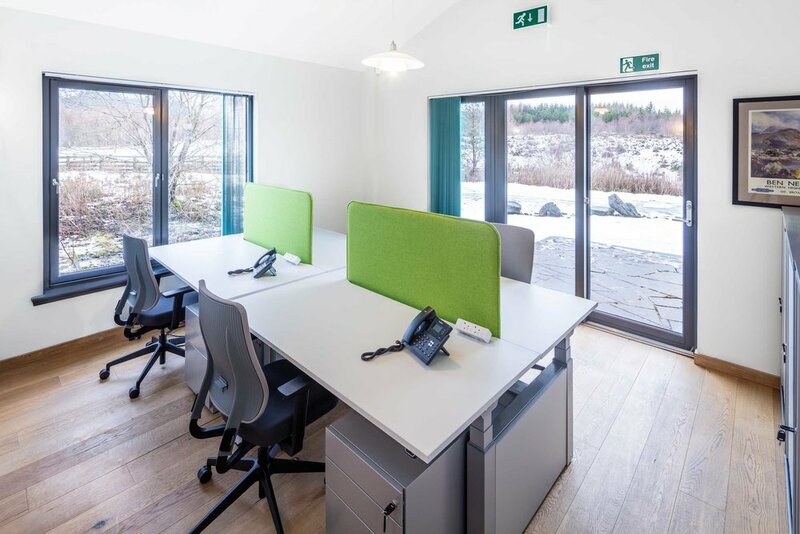 Of particular note though, is their office location – sitting under the north west slopes of Britains highest mountain – Ben Nevis and conveniently close to Aonach Mor where you can take a Gondola ride up the mountain. 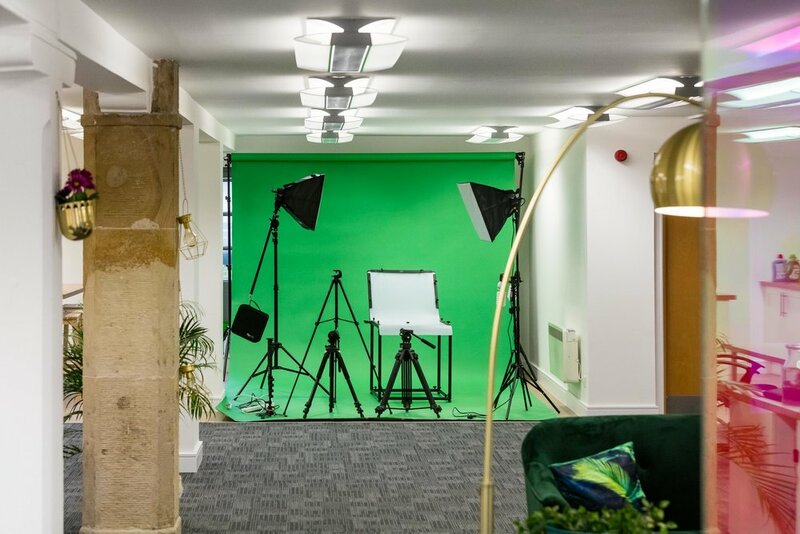 HW Energy purpose built their offices 10 years ago and the intervening years have seen their workforce grow which meant that the office space had been altered bit by bit over the years too. 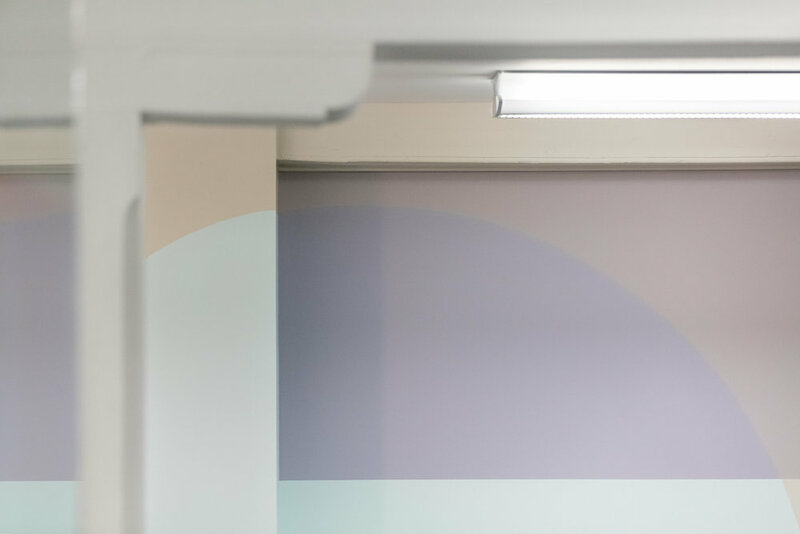 The result’s left a lot to be desired and did not use the available space very efficiently and with more staff joining, they knew that a refurbishment was required. Amos Beech were asked to visit and were more than happy to, given that the initial visit was during what proved to be an amazing summer and a lovely day out of the office was enjoyed by Vincent and Sam. 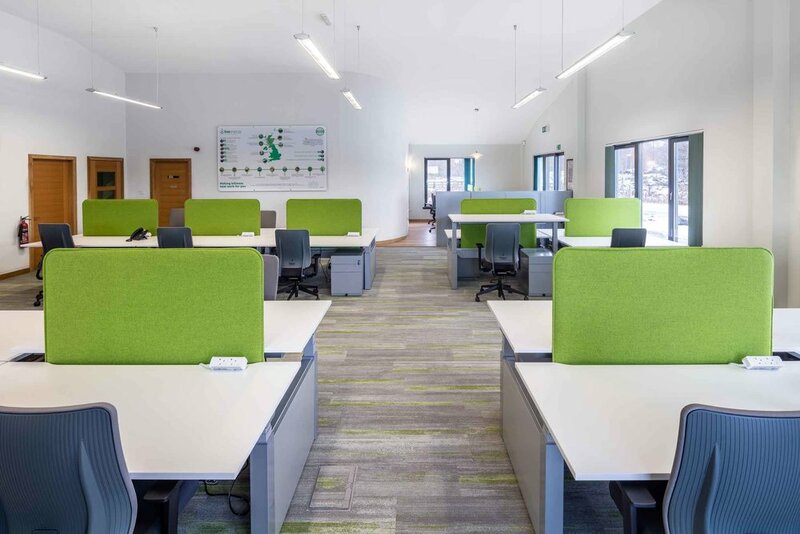 Over a few weeks and some inevitable bumps and hurdles over budgets and layouts, HWE chose to order sit/stand desking for all their staff along with the Viasit Drumback task chair. The new layout has transformed the space and now feels a lot more airy and less cluttered than it did previously. 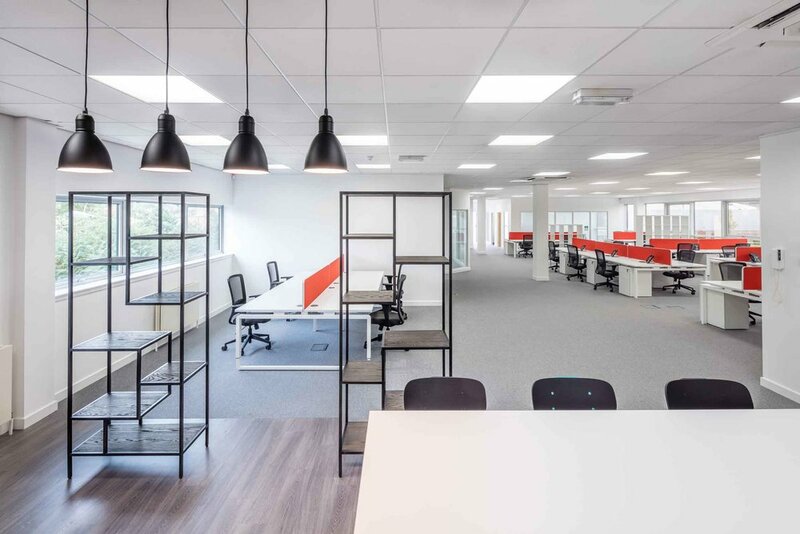 Upgrades to flooring throughout the space have been carried out and the Amos Beech team will be on site again soon to complete the refurbishment of their break-out space. So look out for the update and we may well include some pictures of Ben Nevis in the springtime! Today we were lucky enough to join the board of Scotland Food And Drink for lunch in their newly fitted out offices at Ratho Park Edinburgh. The Scottish food and drink industry has become the best performing industry in Scotland, worth today about £14 billion. No surprise to us as we were enjoying the great tasting sandwiches from Patti & Jules, a recent addition to Edinburgh's catering scene. Obviously our experiences with the Scottish delicatessens don’t stop there. 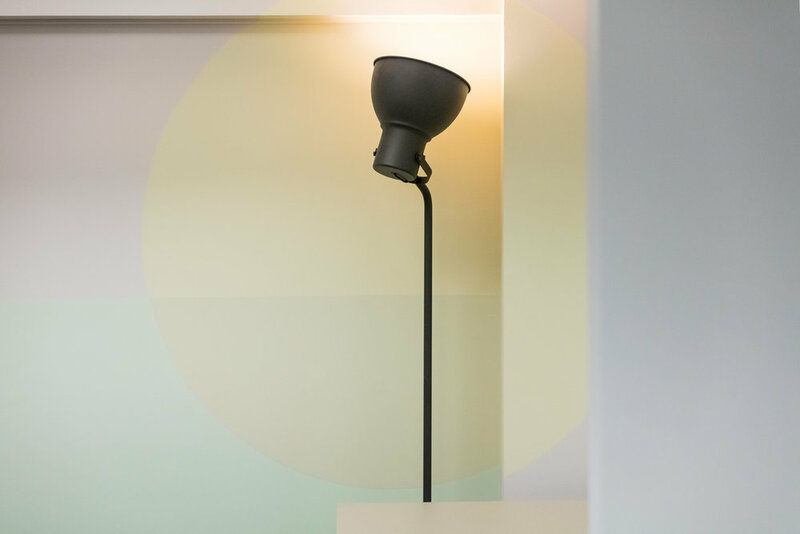 So you could say that Scotland Food and Drink and Amos Beech were natural partners for their move to their new offices. 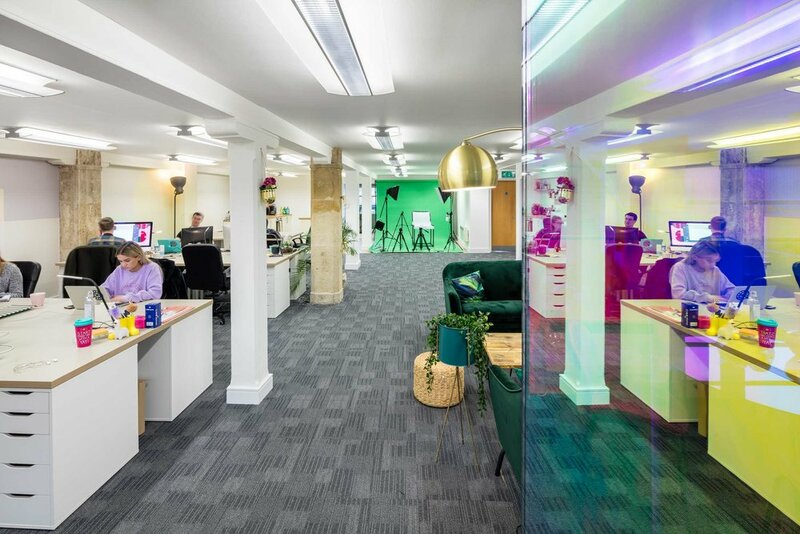 Chief Executive, James Withers described the tremendous difference the new office layout made to their office life. The open plan space with plenty of natural light has a positive influence on internal communication. 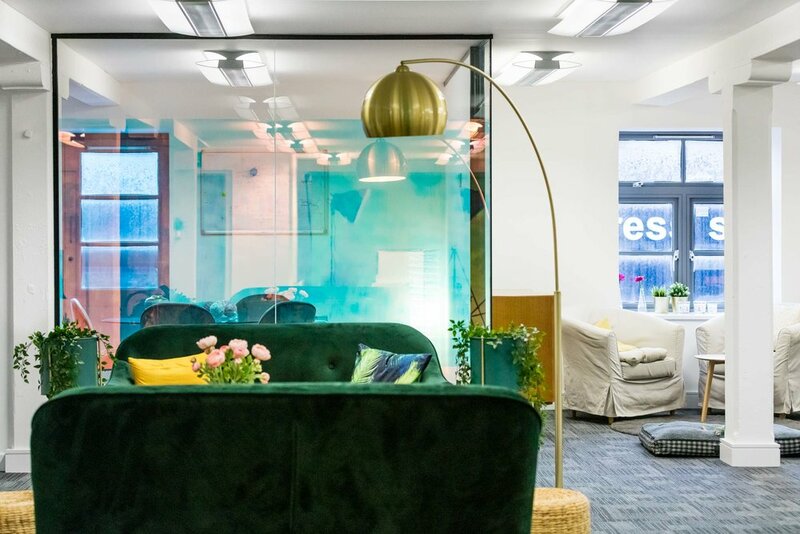 Facilities like a spacious boardroom, meeting spaces, break out area’s and hot desking make the new offices suddenly attract employees that previously preferred to work from home. As well as that the space is now more in line with their culture and branding, so now a perfect place to invite and meet people as well. 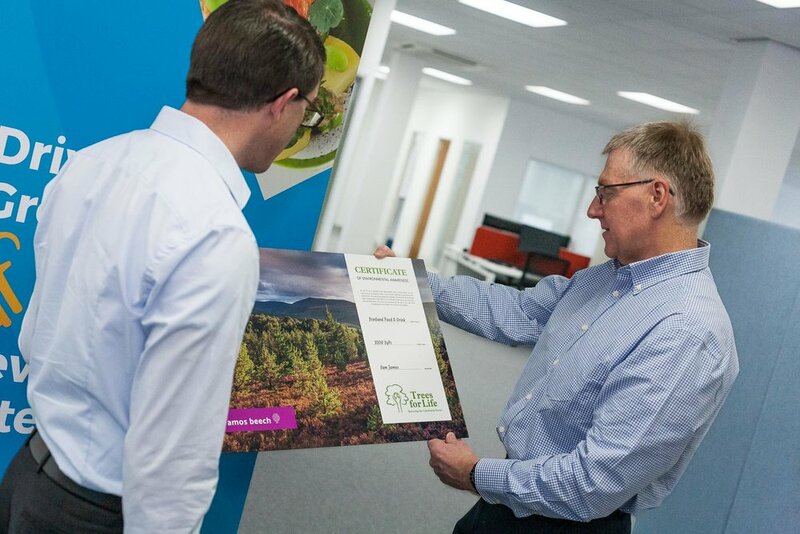 What we didn’t know was that the chair of Scotland Food and Drink, Dennis Overton, lives close to Glen Affric and he has been following the great work of Trees For Live since it’s inception. As part of Amos Beech’s Corporate Social Responsibility we plant 13 trees per 1000 SqFt of refurbished office space. 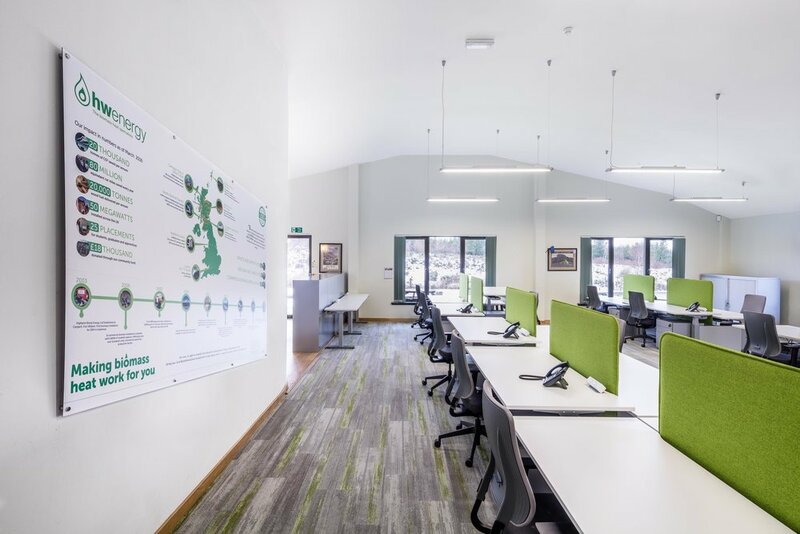 In the case of Scotland Food and Drink’s new offices that equates to 42 trees! This brings the number of trees in our grove up to a total of 244 and there is more to come! You can plant trees yourself! We encourage you to plant trees yourself. You can add trees to our grove via the link under the image below or you can start your own grove. Why not consider giving somebody a dedicated tree? Planting a tree is a special gift for any occasion. It's the perfect way to celebrate an event or remember a loved one. 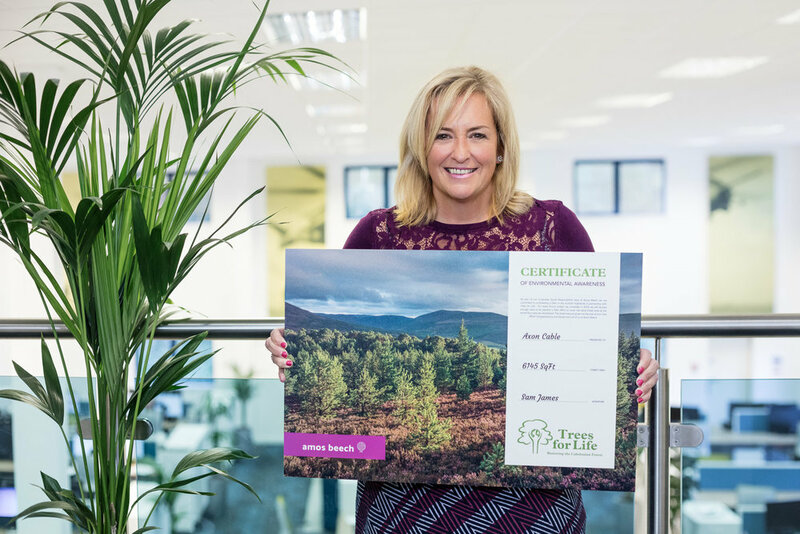 When you order your Tree via Trees for Life, a native tree will be planted for you by Trees for Life in the Scottish Highlands, creating a home for wildlife and forests for the future as well as improving the quality of the air we breathe every day. In simple terms, activity-based working or ABW, refers to providing employees with a location choice. This means that employees get to choose a location that is most suitable for them to work from. They do not have a designated workstation, but the workplace has several areas where they can do specific tasks like focusing, socialising, collaborating and learning. Today’s workplace has been transformed by technologies like laptops and mobile phones. These have made workers more productive by freeing them from their desks. People can work from anywhere due to their ability to access information easily from the cloud. Business models as we used to know them are also being disrupted today and new approaches geared towards making employees more flexible and productive are needed. Activity-based working is one of these business models that provide workers with options tailored to their needs. 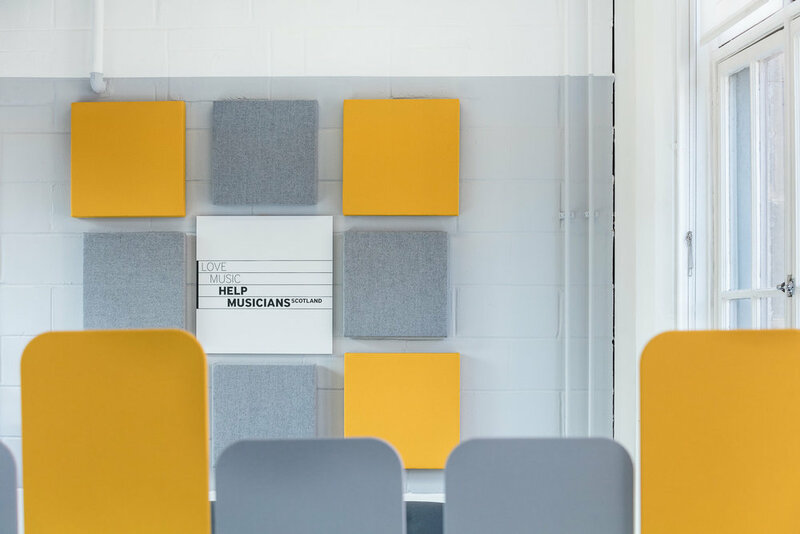 The driving principle behind the activity-based workplace design is that offices should be flexible enough to adapt to the diverse tasks performed by employees. Traditionally, employees were assigned a single workstation. In the activity-based workplace, employees can move around depending on the task at hand. The flexibility is built into the company’s physical office through its culture, spaceplan, workspaces and furniture. For example, an employee can start her morning with a brainstorming session at the coffee bar, then move to a conference room for a client meeting and then move to a more private workstation to make calls and work tasks that require extra focus. In this case, she has no fixed desk and can move around freely to the area that provides the best environment for the activity she is handling. All she needs is her mobile phone, a laptop, and a company network. What exactly does activity-based working bring to the table for both the company and the employees? Let’s see! In an ABW environment, employees from different departments can easily collaborate on tasks and projects. This increases productivity and output since they are no longer tied to a desk all day. Team members can seamlessly move around the workspace. In turn, this leads to better communication, easy sharing of ideas and more. This is the perfect setting for innovative ideas to be born. Adopting a dynamic workplace helps engage staff, stakeholders, and visitors. You can attract the best talent by providing them with something that others don’t – unparalleled flexibility and freedom. Existing employees are also likely to stay if their workspace meets all their needs both personally and professionally. An activity-based office has workspaces designed for specific tasks. These can include focus group areas, collaborative zones, and quiet places. Such spaces allow employees to be alone when they need to and to sit comfortably with their colleagues when team work matters the most. Everyone works differently. Some thrive in large crowds, others need to be alone to get their best work done. This is what activity-based working is all about. Traditional offices have been designed for desk work and meetings only. But an activity-based workspace will allow employees to choose how they work, when and where. This recognition of the difference that makes every employee important empowers them to be responsible for their work and decide where they want to work from and when. Employees get a sense of ownership, which makes them build trust in the organisation and vice versa. This ultimately leads to company and brand loyalty. Letting your employees choose where and when they work can help them balance their personal and work lives, which, in turn, can improve their overall wellbeing. Activity-based working is the sustainable way to grow. Since it’s better at using office space than the working styles, it will help you save a lot of money on real estate. Plus, it reduces the company’s carbon footprint through cutting down on energy and supplies in the office. Activity-based working also gives you the flexibility to incorporate custom office furniture. 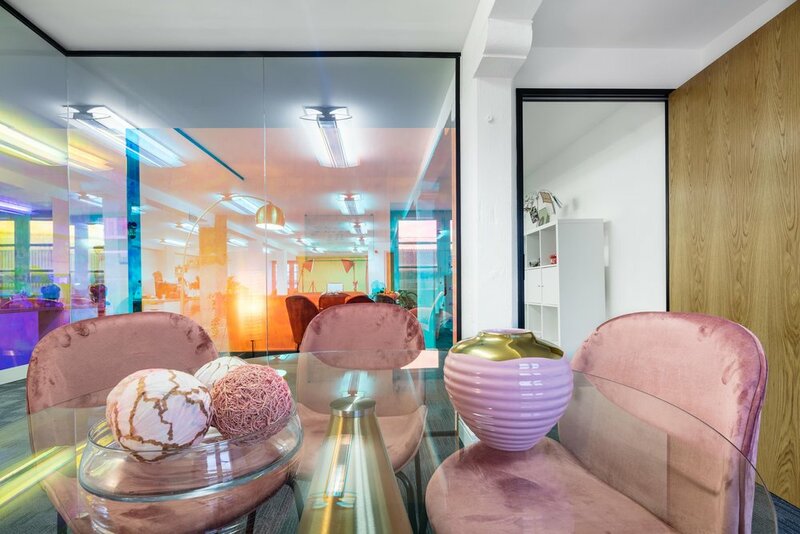 Get an interior design expert to recommend the right furniture to support your new working environment. Before you dismiss it as “a new trend that will never catch on”, let us tell you that activity-based working has been around for some time now. And it’s not going anywhere. A lot of research has been done on this topic. It all proves that it has unlimited benefits for employers and employees alike. Of course, activity-based working is not without its challenges. They have also been exhaustively researched and documented. Read on to find out how to overcome them. But first, let’s take a look at some of the most prominent studies. In a survey of 400 multinational companies, two-thirds of them were open to implementing the shared desk workplace by the year 2020. Before jumping to it, a lot of companies wanted to learn their employees’ take on the matter. A recently published study tried to find out if 1000 Australian employees were okay with shared desk environments. Some of the challenges highlighted by the surveyed employees include distractions, increased distrust, negative relationships, uncooperative behavior, and a perceived distrust of supervisors in terms of support. Another report on hot desking, which shares the activity-based workspace principle, identified challenges like indifference, marginalisation of employees, loss of identity, decreased commitment from organisations, and inattention to co-workers. However, let’s take a look at the broader picture. 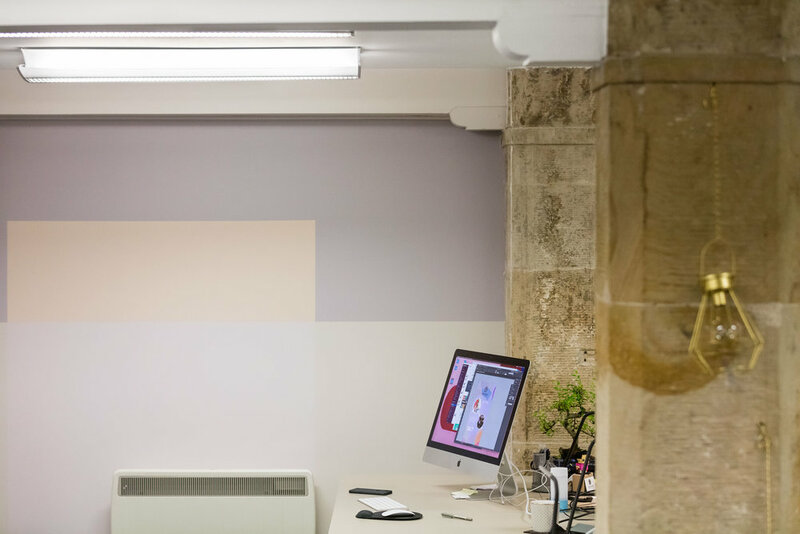 The activity-based workspace design provides different work settings for various activities like private work, meetings, collaborations, creativity, and concentration. The employees are, therefore, expected to make switches between the settings when necessary. When asked how they feel about a new concept, most people shy away at first. This is why it’s important to test out an office setting before committing to it. Or, better yet, to make the change gradually. Companies like Facebook and Google are at the forefront of innovation in this field. They adopted activity-based working “before it was cool” and never looked back. Well, the reasons are numerous. To begin with, in hot desking, employees share desks or find one when they need it. This caters well especially to employees who work outside the office often. 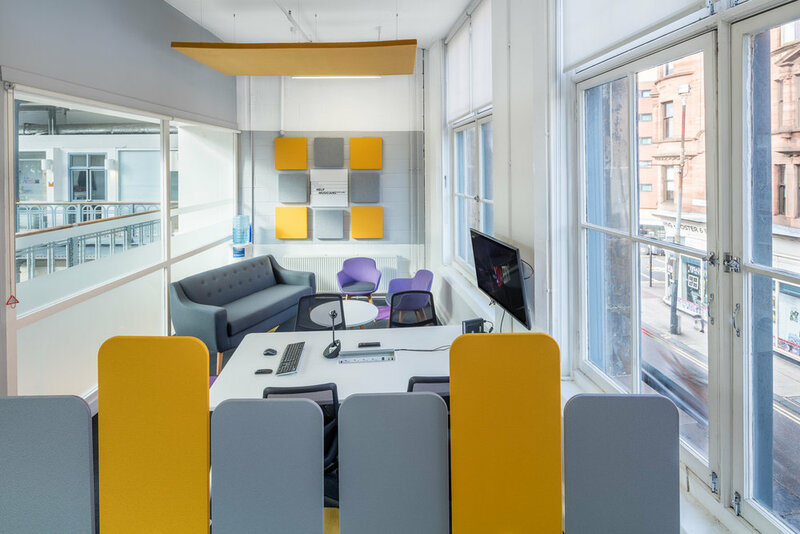 Another plus side of using hot desking is that there are hot-desking apps available to help in the booking of space before arriving at the office. 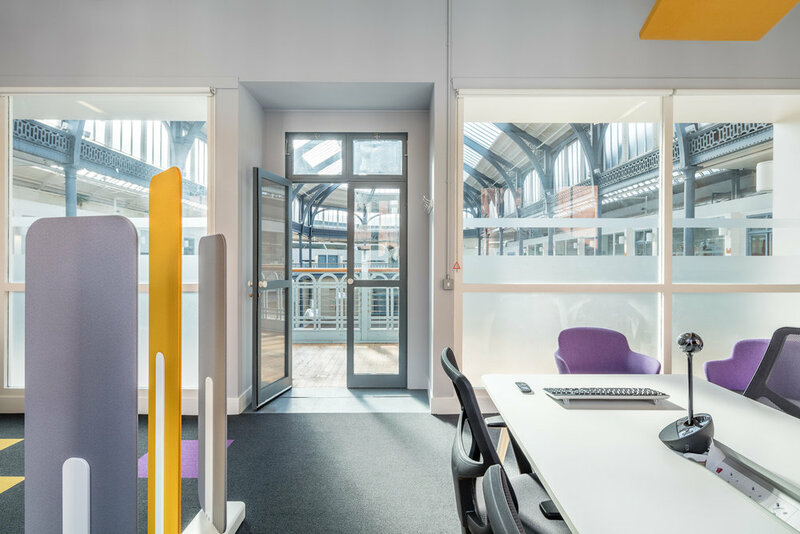 In today's smart offices, hot desking applications such as the app marketed by iOt Space now enables employees to choose and book their desks in advance. This app helps avoid the confusion that could arise in case two people want to sit at the same desk. The apps help one find an available desk and they also navigate you to the desk with no delay, especially if you are visiting the office from out of town. This way, some of the challenges that the studies above found are simply non-existent. Positive research, however, has shown that employees who have self-contained work processes and who view themselves as independent and mobile thrive in activity-based work environments. They can therefore easily choose a workstation based on their preferences or needs. Another positive is that they can avoid social interaction when they need a quiet space to work from. Its supporters say that the main reason companies implement activity-based working environments is to attract and retain talent. They also wish to take care of their employees’ sustainability and wellbeing while increasing innovation and collaboration. Based on the various research findings discussed above, we can conclude that there is no one size fits all solution. ABW and hot desking will increase collaboration, efficiency, and communication but it will come with its own challenges. Of course, any challenge can be surmounted. Since every company is unique and has unique needs, you shouldn’t necessarily base your decision on research done on other companies. You can use such reports as a way to get started. Afterwards, you should consider your own circumstances. Think about it this way: the way people work changes throughout their life. It’s only natural that they can accommodate (and even expect) an evolution of their working environment. During the school years, everyone knew a certain space was dedicated for a certain activity. There was no in-between. For example, the music room for music, the gym for sports and the laboratory for science. When they got into a university, they had the choice to either get the group work done under a tree, at the café, or in the library. A traditional workspace may therefore not work for them. Organisations have no choice but to embrace these new ways of working if they want to retain and attract new talent. What Are the Reasons for the Change? Why do you want to implement activity-based working? Are you doing it because everyone else is? Do you feel like your peeps could benefit from more interaction? Activity-based working encourages collaboration and therefore your business can easily pull a team from different departments in your organization to work on a project if everyone is mobile. Employees are different, and this difference is what makes activity-based working a good model. Those who require isolation can work at their own stations while those who thrive in a noisy work environment can also do their thing. It encourages responsibility. More importantly, employees are treated as adults who can choose an environment that makes them productive. Before making the decision, consider your employees. Ask them how they feel about it. If they do, then they will offer you support and advocate for the chance by leading by example. Otherwise, everything may be doomed from the start. If your employees see that C-level execs never step foot in the common workspace, they will feel discriminated and treated as less important. Of course, we all know that C-level execs need privacy. But they also need to be among their team every once in a while, don’t they? 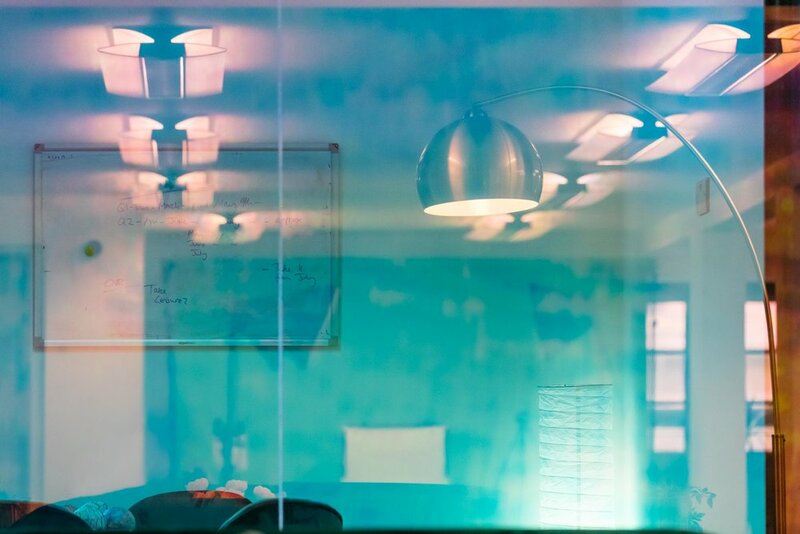 As previously mentioned, there is no one size fits all when it comes to designing your office. Do a thorough research on the different models available and then choose one that suits your organisation’s needs. Obiously you can ask the workplace consultants here at Amos Beech for help. As you invest in this move, make sure your employees are educated on why the move is necessary, the benefits of the move, what will be changing, and why this particular model has been chosen. Use an effective communication plan that will involve different mediums and engage employees at all the levels of the organization. Test whether the change will be effective using a pilot workspace. This is an effective change tool because, from it, you can tell whether the move will benefit the company or not. The pilot will also be a learning phase that will help you tailor a suitable working model as per your needs. Plus, it will help the employees warm up to the new way of doing things and how it will eventually affect them. Change is hard and some of your employees will not be thrilled by it. Learn from them but do not let them bring you down. Activity-based working can enable you to manage all your records electronically. This will reduce your carbon footprint and turn you into a more desirable employer and business partner for your clients. Also, make sure you recruit leaders with skills and expertise in activity-based working so they can help other employees easily adapt to the new move. Safeguard your investment by choosing the right people to handle it. 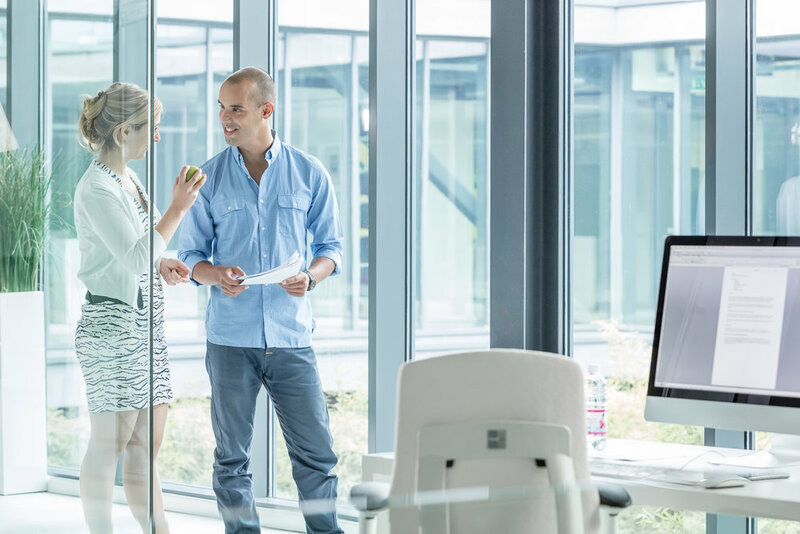 According to a case study by UK’s HR Magazine on Atlas Copco’s introduction of activity-based working at their UK office, the exercise proved to be successful. The company implemented a cockpit for individuals needing privacy, a larger cabin that allowed for small groups to work together, and an open space furnished with multiple desks. This gave them a digital workspace that can be reconfigured whenever the needs of an employee change. The employees are now more connected and engaged since their working conditions have changed for the better. Activity-based working benefits may not be felt immediately, but they are broader and long-term. And if they are properly executed, they can foster the wellness of the employees by improving their mental, physical, and social wellbeing. Axon Cable has been committed to meeting environmental challenges for a number years now. Just like Amos Beech, Axon complies to ISO 14001, a standard to help organisations create an effective Environmental Management System (EMS), to benchmark the environmental performance (energy use, recycling rate and waste created). Axon also already complies to the new ISO 45001 Health and Safety standard which is set to replace OHSAS 18001, the standard that Amos Beech currently complies to. 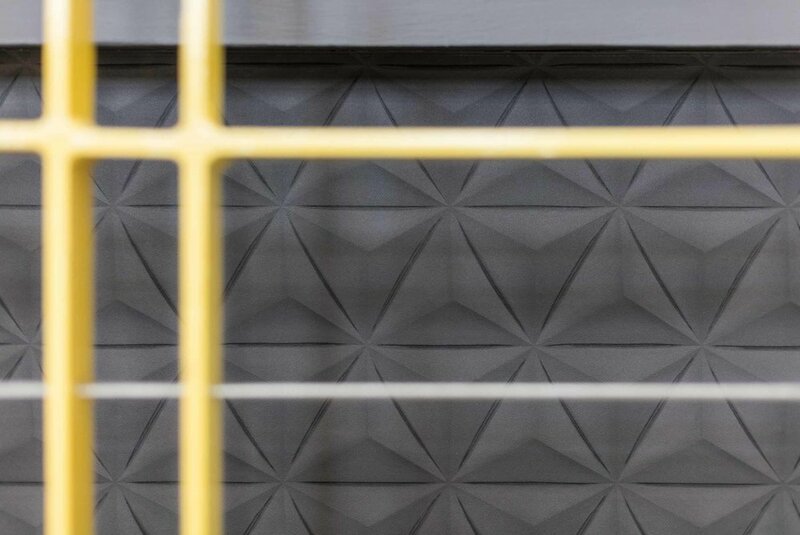 In 2017, Axon recycled the equivalent of 43 tons of steel. By enhancing the value of 27 tons of cartons in 2017, Axon' saved 460 trees. The company also invested in a machine which transforms cartons into material for packaging. Now by using Amos Beech as their interior design and office fit out company they haven’t saved trees but actually planted 80 of them! But more importantly, you can plan trees yourself! For only £6 per tree you can contribute to the new forest which will be a home for wildlife and an adsorbent of CO2 as well. Yes I will plant a tree myself!